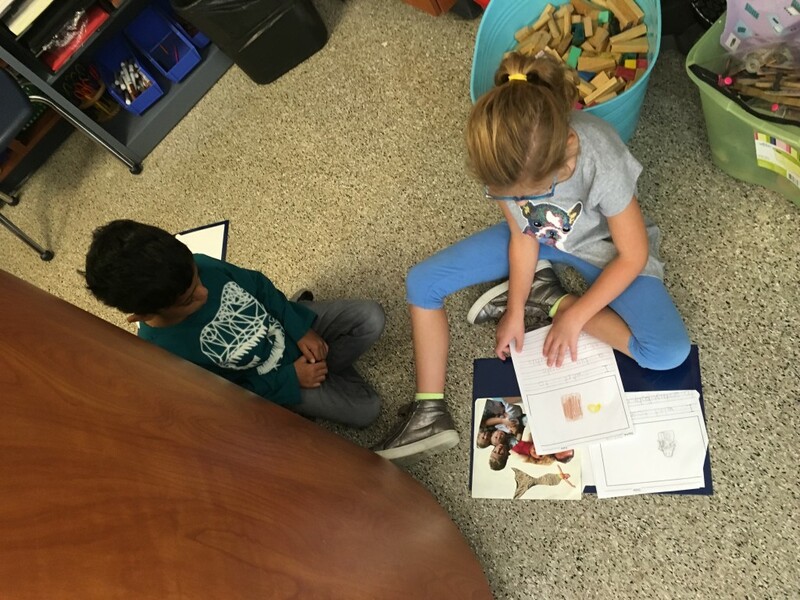 Okay, I know you have probably heard all about flexible seating and its benefits for students. If you are a teacher like me, you really can’t spend any more of your own money on your classroom (although if you asked my husband, he would agree!) 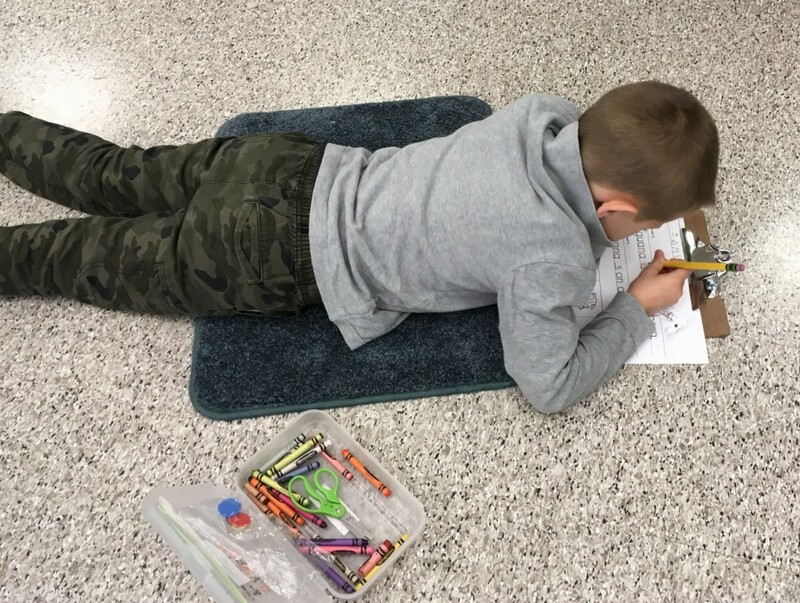 How on earth can we create some flexible seating spaces for students for free… or at least really, really inexpensively? 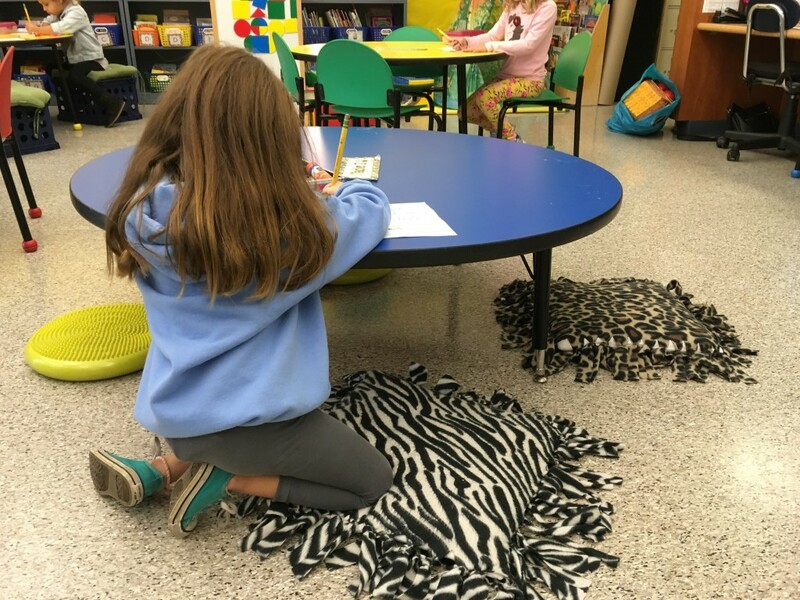 After lots of trial and error, I’ve found five flexible seating ideas that are effective for students and won’t break the bank. If you do not have an extra table or desks, ask your custodian if there are any in storage. Some school furniture is adjustable, so it is worth a shot to ask! Tables designed for younger students might adjust down to the height you need. Add a mat or pillow to sit or kneel on, and you are all set! These pillows are a great alternative to chairs. But with elementary students, these seats can get ruined pretty quickly. Don’t want to dirty your own pillows? You can protect your pillows by tying squares of a fleece blanket around a pillow form. Instant and comfy pillow cover! Flexible seating ideas aren’t just for chairs. Sometimes, you don’t need any seats at all! 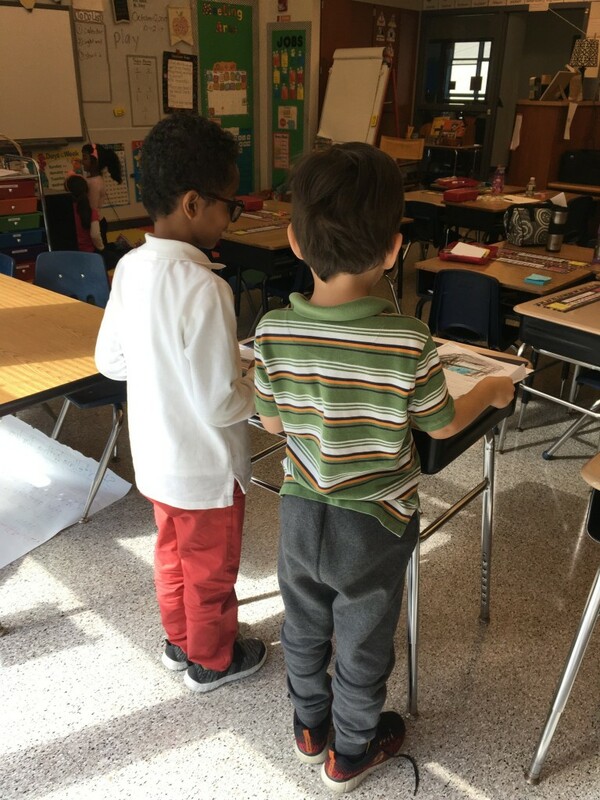 In my school, some first grade and Kindergarten teachers wanted standing desks for their students. So they had a couple of desks designed for older students raised to a younger child’s standing height. Create a standing desk by raising it up! I knew I wanted a sturdy coffee table for my art room but I couldn’t pay a lot for it. I went to numerous garage sales and visited some local second hand stores for about two months… and voilà! A five dollar solid wood coffee table with a laminate top popped up. Perfect for students! 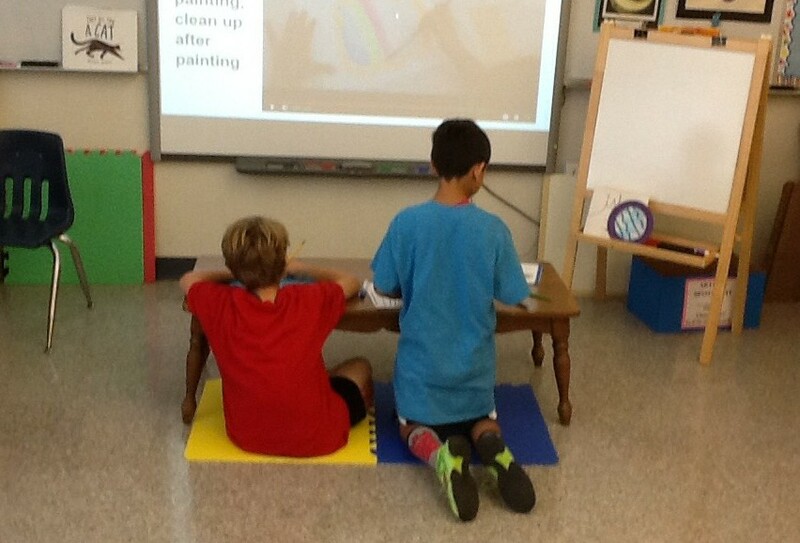 Bonus: the table fits right under the SMARTboard when not in use. 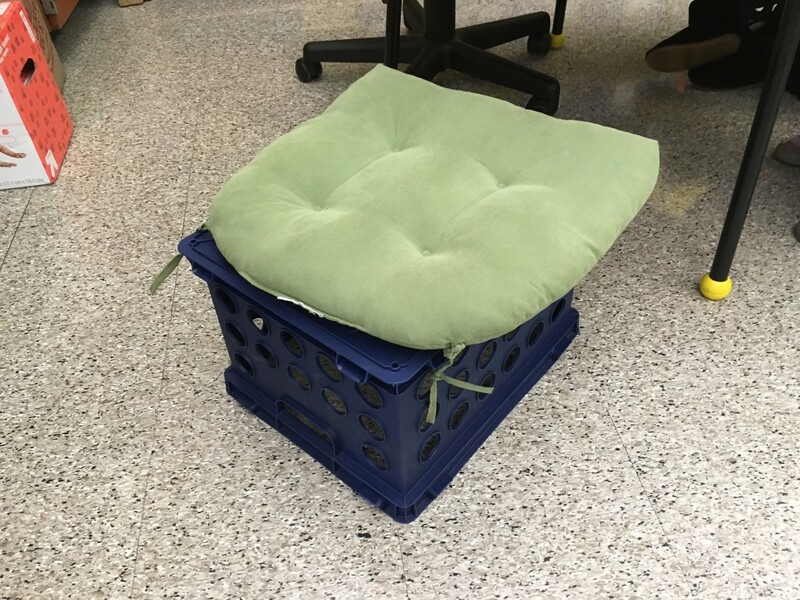 A Kindergarten teacher in my building bought inexpensive crates and tied a chair cushion on top. Quick, cheap and the students love them! Okay, this one wasn’t actually free, but my sons have grown and left the nest. 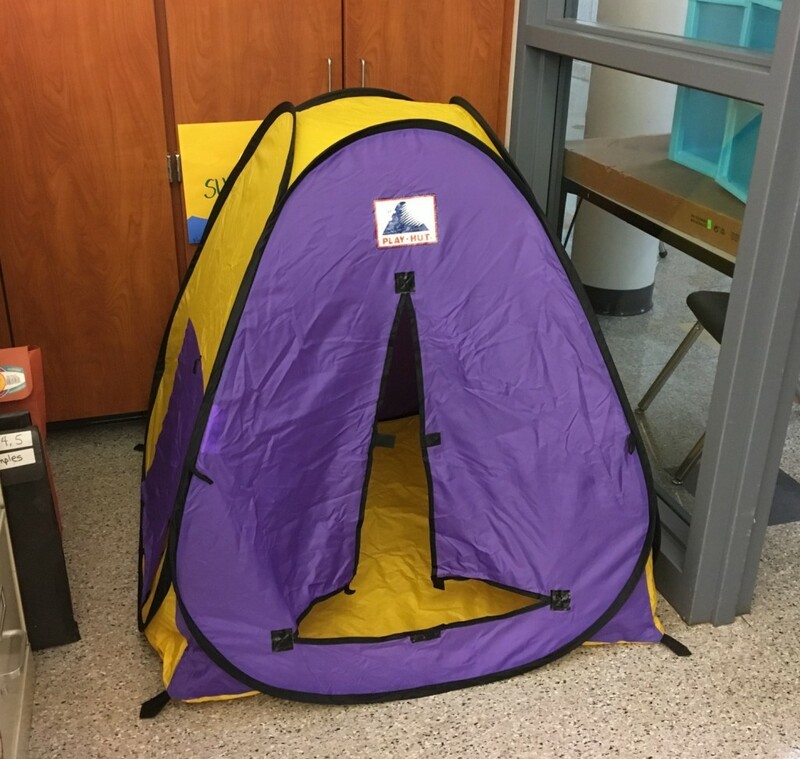 I was cleaning and found this pop-up tent, gently used. I decided to add it to my art room as a cozy spot to draw. Add a few clipboards for students to work on, and it is perfect for one or two! The floor can be carpeted, have foam mats, or just use the tiled floor! Students don’t seem to mind and like to spread out. 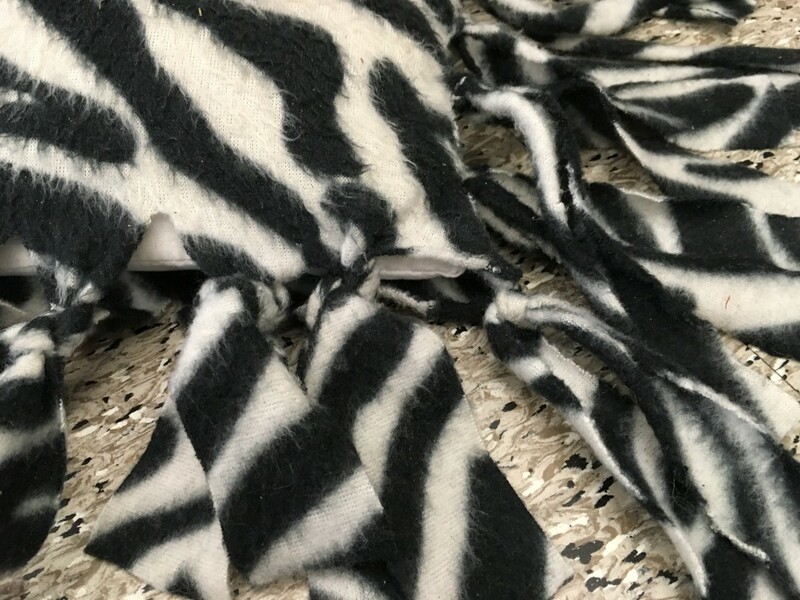 A teacher at school had these carpet pieces store hemmed at a carpet store pretty inexpensively. Each carpet rectangle was only five or six dollars. Give your students more choice and voice… and help them develop genuine ownership of their learning. 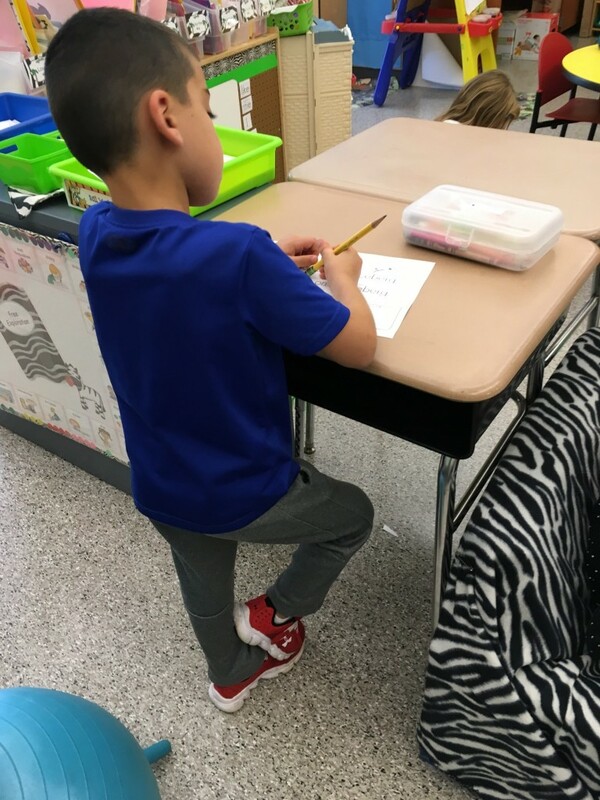 Try some flexible seating; it doesn’t have to cost a lot! I bet you have your own great ideas for student workspaces… please share in the comments below!